Testing out something before you buy it is always a good thing, and a free trial VPN service is no different. 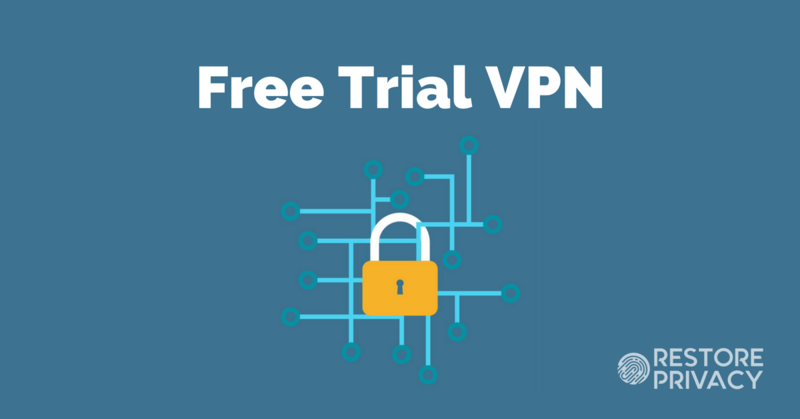 A VPN with a free trial gives you a risk-free opportunity to try out the service on your devices before committing to a long-term subscription. This is a great idea to minimize risk and ensure you find the best VPN that meets your needs. In this free trial VPN guide, we’ll take a look at five of the best free trials currently offered in the VPN industry, while also avoiding VPN scams and shady VPN providers. What is the best VPN with a free trial? 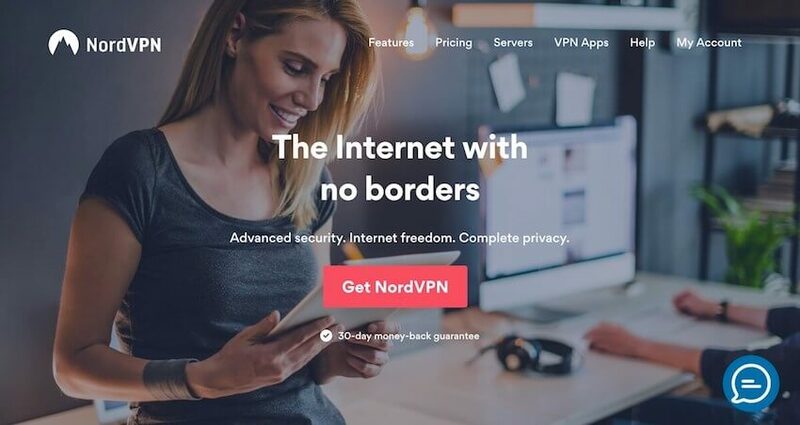 The best free trial VPN currently available is NordVPN with the 7 day free trial offer. Unlike some of the other VPN trials we’ll examine in this guide, NordVPN offers a long trial window to test out the service. If you decide to commit to a subscription, NordVPN is one of the best values available with the 75% discount coupon, which drops prices down to $2.99 per month. Another great option is ExpressVPN, which offers a 30 day risk-free trial on all subscription plans, as well as a three months free coupon. It is currently ranked as the #1 best VPN service for 2019. Now we will take a closer look at each free trial VPN below. NordVPN is a Panama-based, no logs VPN service with an excellent track record. All subscription plans come with a full 30 day money-back guarantee, even if you have used the free trial. This means you are getting 37 days (7 day trial + 30 day money-back guarantee) to test out NordVPN risk-free. It remains one of the cheapest VPNs and best values in the industry. With NordVPN you get good performance, good VPN apps, as well as advanced privacy features. These features include double-hop VPN servers, Tor-over-VPN servers, CyberSec ad blocking, and leak protection settings. They also have a huge network with over 5,200 servers in 60 countries. While the speeds can be somewhat variable with some servers, the latest tests for my review of NordVPN were overall quite good. NordVPN is also a great service if you need a VPN for torrenting with secure and reliable connections. They provide 24/7 live chat support, which is accessible through their website, and secure VPN apps for all major operating systems and devices. This gives you a full 7 days to try out NordVPN without being charged. VyprVPN is an affordable, high-performance VPN service that offers a 3 day free trial with all subscription plans. This Switzerland-base VPN provider has a great lineup of VPN apps that are reliable, secure, and very user-friendly. Another unique aspect of VyprVPN is that they own every server in their network (no third-party rental servers). This helps to secure all data on the network, while also offering better performance. VyprVPN’s server network is built to encrypt all DNS queries via their VyprDNS system. 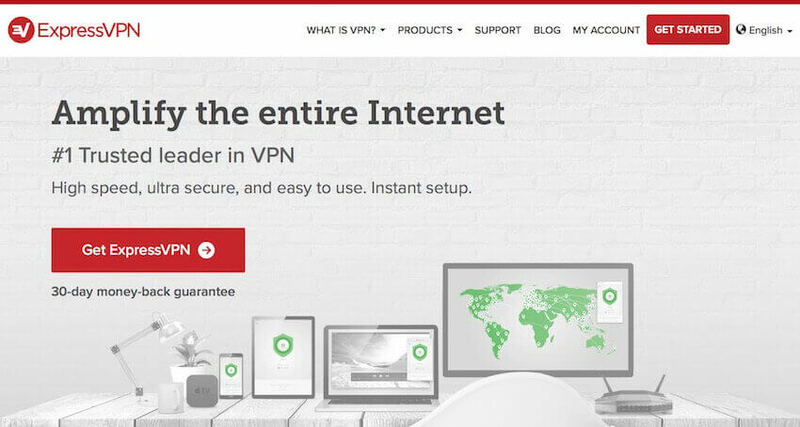 VyprVPN free trial – Every VyprVPN subscription plan comes with a 3 day free trial and you will not be charged until the free trial period is over. But you do need to enter payment information, which will be charged at the end of the trial period (unless you cancel). In addition to the trial, you can also get 25% off VyprVPN here. This drops the price down to $3.75 per month for the basic plan and $5.00 per month for the premium plan, with each plan including the 3 day free trial. Trust.Zone is a Seychelles-based VPN service that offers a 3 day / 1 GB trial. The free trial VPN will be over whenever you hit the data or time limit. Trust.Zone is a very basic VPN without many frills or features. When I last tested it out for my review of Trust.Zone, the speeds were pretty good, although not amazing. The main drawback with Trust.Zone is that it is quite limited. They only offer a basic Windows app, but nothing for Mac OS, iOS, or Android. They do support other operating systems, however, but you will need to use third-party apps, such as Tunnelblick or Viscosity. 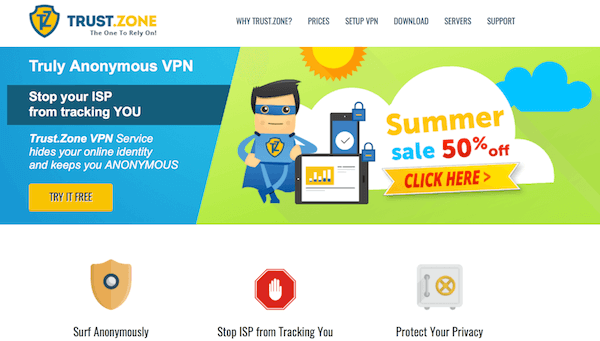 If you are looking for a basic, minimal VPN service at a reasonable price, you can try TrustZone for free below. TunnelBear is a Canadian VPN service that offers good speeds and user-friendly apps. While it is a decent service, the jurisdiction in Canada is not ideal (as explained in the VPN for Canada guide). The TunnelBear apps come with basic leak protection settings (VigilantBear) and obfuscation features (GhostBear) to get around VPN blocks. 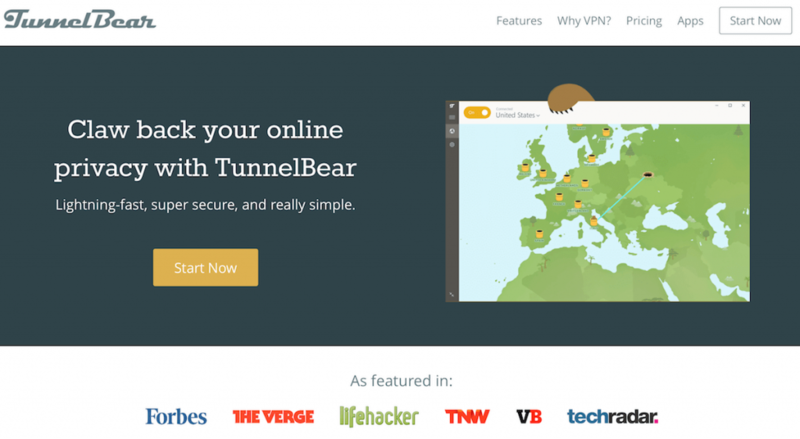 Overall TunnelBear is a decent basic VPN service that works well for different use cases. You can see the bear theme with everything and their service is very user-friendly. However, if you value performance, it may not be the best option (see the speed tests in my review of TunnelBear for more details). The TunnelBear free trial is limited to 500 Mb of data per month. For most people, this won’t last long enough to get a good idea of how well the service works. However, you may be able to get more data by tweeting about TunnelBear using one of their promotional tweets from their website. While it is not necessary a “free trial” in the conventional sense, ExpressVPN does offer a 30 day risk-free trial with all subscriptions. Additionally, you can also use this three months free coupon, which is also backed up by the 30 day money-back guarantee (risk-free trial). ExpressVPN is based in the British Virgin Islands and is a verified no logs VPN provider. While it’s slightly more expensive than other options, ExpressVPN gives you the best performance and very secure apps with built-in leak protection settings. ExpressVPN secures data using the OpenVPN protocol with AES 256-bit encryption. Whether you need a VPN for privacy and security, or perhaps you want the best VPN for Netflix and streaming, ExpressVPN remains one of the best all-around VPNs on the market. It is currently ranked as the #1 best VPN overall for 2019. ExpressVPN also offers one of the largest selection of apps for all devices – from computers and phones to routers and TV boxes. Their customer service is also top-notch, with 24/7 live chat support directly through their website. You can get more info in my ExpressVPN free trial guide, or simply activate the coupon below to test drive ExpressVPN now. Ok, so now you have a free trial VPN and you want to see how well it performs. You can also test out the different VPN apps on the devices you want to use, such as on your computers, phones, or tablets. If you find any issues, you can work with the VPN’s support department or cancel the service and go with a different option. Fortunately, with NordVPN’s new 7 day free trial with unlimited bandwidth, you will have plenty of time to test out the service. This is also discussed more in my NordVPN free trial guide. If you still think these free trial VPN options are too limited, I’d recommend going with ExpressVPN and using their three months free coupon. And if you’re on the fence between ExpressVPN and NordVPN, I also have an in-depth comparison guide here: NordVPN vs ExpressVPN. Since we are on the topic of free trial VPNs, we may as well mention free VPNs. As I point out in the free VPN guide, free VPN services are usually dangerous, invasive, and oftentimes malicious. Simply put, free VPNs make money off the user by collecting your data and selling it to the highest bidder, which is usually advertisers. There have been numerous free VPNs busted for installing malware and tracking libraries in their apps, such as Betternet, for example. Alright, as a brief recap, we covered the best free trial VPN services currently available on the market. We also discussed a few risk-free trial VPNs that give you a full 30 days to test out the service. Whichever option you decide to go with, keep the trial window in mind when testing out the service. You could even put the last day of the trial on your calendar as a reminder. If you find the VPN is not to your liking during the trial, simply cancel the service and move on to a different option. Stay safe! Sven i am so surprized that you do not coinedthe windscribe free trail😯.why you are not recomended it.please let me know because i am thinking after its primimum plane. Hi Rdx, Windscribe did not do well in testing for the Windscribe review. Thanks for the heads-up that this super-informative website provides! My (Asian) location is a very vpn unfriendly environment, which is becoming more hostile by the day. I already subscribe to two of your recommendations, but they can (and sometimes are) be simultaneously blocked! I see ‘Tunnelbear’ is your only ‘no payment, no details submitted’, 500mb/month free recommendation. This format is very useful as it could (at the very least) serve as an emergency backup, without the user needing to make any commitment. It can be installed, and set up, ready to use whenever required, without any time limit. The limited data available is better than nothing (if the vpn can connect). I see that there are others (such as Windscribe, and Trust Zone), but they appear to have time limits, and at least require payment details. Vypr used to offer an identical option, but it no longer does. Can you recommend any other service with a free trial format that’s similar to Tunnelbear? Hello, unfortunately you are limited with free VPN trials. But I can say that VyprVPN is one of the most successful VPNs for getting through Chinese censorship. You will need the premium package that includes the Chameleon protocol, which obfuscates VPN traffic – explained further in the VyprVPN review. Yes, I had Vypr installed for quite a while, but it was never a main vpn. Whilst, as you say, it is very reliable, it just doesn’t have enough speed for everyday use. Also, the software is a bit troublesome. I had to keep the ‘services’ process switched off, when i wasn’t using it, because of excess cpu usage. It also tended to interfere with the TAP adapter (unless i managed remember to switch it to their own: it never stayed on this setting). So, I stopped using Vypr. I couldn’t justify subscribing to it, just for an occasional back up, when other vpns are so much faster. Please, keep this page updated, especially if you find another commitment free, free trial. UPDATE: I’ve just tried Tunnelbear, after having to go through a few hoops to get logged in. For me, there’s nothing to recommend. Firstly, their support staff doesn’t seem to read what the customer has written. They just issue general instructions. Then, when I mentioned this, the response was less than satisfactory. Secondly, the program seems to use too much CPU, even when not logged on! Finally, (the main problem) it doesn’t work! It can’t log in without being connected through another service. Once I disconnect the other vpn, and try to connect with Tunnelbear, it can’t even find my IP. Useless (for me)! I hope that this information is helpful, to someone. The search for a ‘no commitment’ back-up vpn continues. I have ExpressVPN – I like to use it for cpa marketing like maxbounty, peerfly, cpalead (to fill forms as public), if i use expressvpn to fill the data can cpa websites track & block me??? I use different locations & different emails to fill forms to get some amount. The only thing i need to know is, can they track my original ip if i use ExpressVPN? I will delete cache using Ccleaner. Hi, for this situation, you may also want to consider using an extension like Random User Agent, which will allow you to spoof your user agent using many different options. And no, they should not be able to track your original IP if you’re using ExpressVPN. I was hoping you can provide a workaround for my issue. Unlike with iOS, I noticed with Android that despite having “location services” disabled, Google and other many other sites are well aware of my location. For example, I try to access a different country’s Google Play store or even an app like Joox, the app or Play Store knows very well I am not in that location. I was unsuccessful with every VPN I tried, including ExpressVPN. I disabled location services and even “cleared data” on many of the Google services apps. In contrast, disabling “Privacy” on iOS, which is Apple’s version of location services, I have no issue at all. My problem is only with Android based devices. Would you have a suggestion or workaround? Hi Lenovo, my apologies, but I do not have any suggestions for this as I no longer use Android phones. I have not really gotten into the Antivirus programs too much. But assuming you are a Windows user, then McAfee would not offer any benefits over Windows Defender. There are also many privacy concerns with some of these third-party antivirus programs, which collect quite a bit of data, and in the case of Avast, will even share it with third parties. Hmm interesting. I use this on setup on my note 8 android phone. But thanks for the reply. I have been reading your articles and learnt a lot. Thanks for sharing your wisdom.